These laptop sleeves and gadget bags aren’t quite electric, but the stuff that goes inside them definitely is. 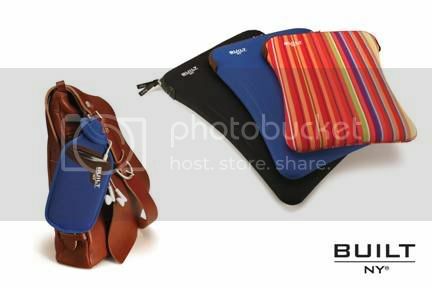 Designed by Built NY, the Laptop sleeves come in 12″,15″ and 17″ models and cost about $39.99. The Pockets are little sacks that let you keep your gear close to your heart or hanging off of your other bags like a luggage tag. They cost about $22.99. They’re available online and come in multiple festive colors and patterns. Ole!